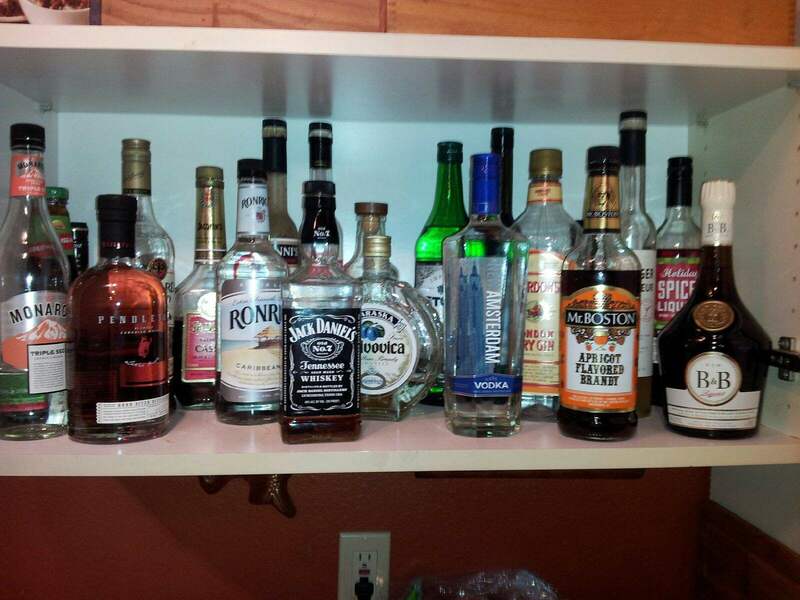 By this point you should have a basic idea of what kind of alcohol you actually want to drink. Even if that idea is as simple as “Vodka”. If you don’t then please see Part I and Part II of this series first. I have heard stories from friends and customers many times that they “just can’t drink X” because it does something to them either physically or emotionally. I can understand, having a friend find out the hard way that they are allergic to juniper *after* three gin martinis is an un-fun evening. Having narrowed the field down from the six or seven major types of alcohol to just one or two is a major accomplishment. Now comes the harder part. From here you have to start finding brands that you like and adding mixers to make cocktails. Finding favorite brands is tough. The only working method is to go through them one at a time and give them a chance. Each is going to be a bit different and will have something that appeals to one person over another. Experience is everything. This can get expensive quickly if you don’t find one you like early. You can use my airplane bottle method from part 1 of this series but that won’t work for every brand. On the other hand, finding mixers and liqueurs is a good deal easier. Cocktails generally fall into a couple of basic categories. I choose to break them down into Citrus, cream, fruit, spice/herbal and mocha but this is by no means an industry standard. Each of these has a couple of flagship products that are accessible to all drinks in that category as well as a few that defy category entirely. Citrus for example is headed by liquors like Cointreau, Combier, Gran Mariner, limoncello, triple sec and Curacao. Mocha is led by Kaluha and creme de cacao. Cream liquors are most commonly associated with Irish cream, or newer liqueurs like rumchata, rumpope and advocaat. The fruit liqueurs are generally non-citrus such as cherry herring, Parma, or Amaretto. Spice or herbal liqueurs come from a number of roots but are monastic such as chartreuse, benedictine, kummel or aquavit. Depending on your preference each of these is a good start for making drinks in the category of your choice. Having a bottle of each would prepare you for cocktails of almost any stripe. For example Cointreau or Combier are both examples of Triple-sec a generally clear liqueur made from bitter orange peels. Triple-sec is the base spirit for classic drinks like the Cosmo and the Margarita. Application of these mixers to your existing base of spirits, sodas and syrups will give you thousands of quick combinations with little effort and a maximum level of compatibility. Your best option is to pick an area that you think you want to explore and pick up a smaller bottle of one of the core liqueurs. As with anything choose flavors that you would pick elsewhere. Don’t drop money on a chili pepper vodka if spicy foods are not to your liking. Don’t drink Creme de Cassis if you’re not a big fan of black currant. Once you’ve got your mixer, your juice and your base spirit a simple 2,1, 1/2 combination is usually enough to get you going. For every 2 ounces of base spirit add 1 ounce of liqueur and 1/2 ounce of fruit juice. If that appeals to you somewhat you can work on the proportions until it’s perfect. Posted in Feature.Tagged feature, flavor profile, liqueurs, mixers, stocking.